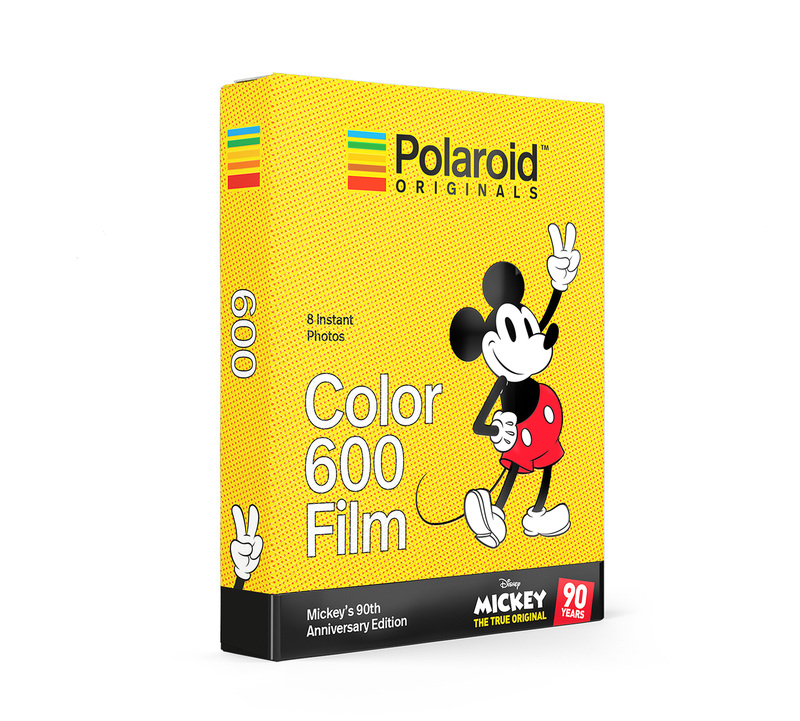 Polaroid ORIGINALS Color Film for 600 (Mickey's 90th Anniversary Edition); it's time to celebrate a true original. 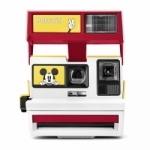 Since 1928, Mickey Mouse has brought joy, magic and play to people all over the world. 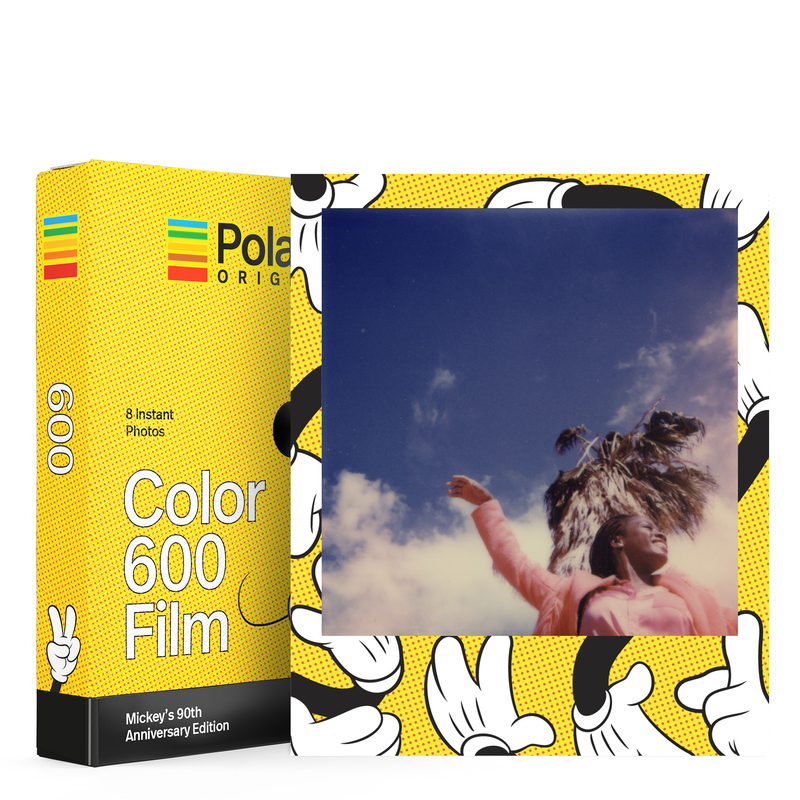 And Polaroid Originals couldn’t be more thrilled to mark the occasion of Mickey’s 90th Anniversary with a limited edition Color 600 Film. Each film pack features 8 out of 12 unique frame designs with Mickey character elements, for a sense of discovery and delight every time you press the shutter. 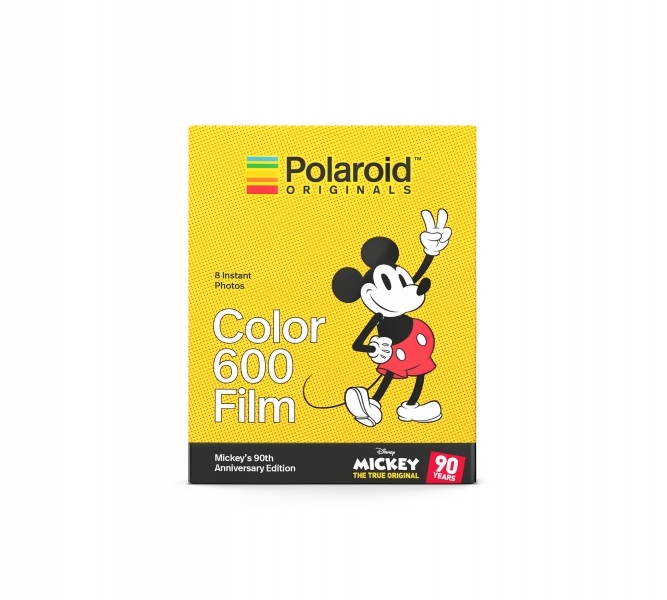 Forever will we hold your banner high, Mickey.